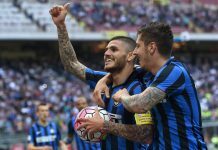 The FPL 2017/18 season is here again! FPL managers are already creating their teams and selecting players for the season with so many notable additions. The season appears to be a very entertaining one. With the season set to kick-off on the 11th of August 19:45 (deadline 18:45), we will be looking at top 5 captain picks for Game Week 1. 1. 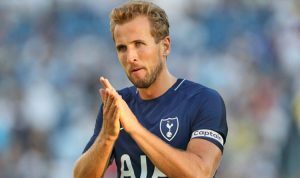 Harry Kane TOT (£12.5m): The English captain has been an FPL czar for three seasons, although sometimes he starts slowly, but I’m expecting him to continue with his great form against new boys Newcastle United at Saint James’ Park. The 24-year-old bagged 12 goals and assisted 4 times in 14 away trips last term. He’s up against a defence that conceded 23 times in 23 home appearances in the Championship. 2. 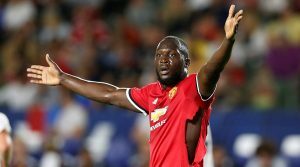 Romelu Lukaku MUN (£11.5m) : the new Manchester United front man starts his premier league season in a red shirt against the Hammers at Old Trafford. Having scored 16 goals and assisted 5 times in 18 home games for Everton last season, coupled with the fact that the Hammers were conceding several times away from home ( 33 goals conceded in 19 games), the ‘beast‘ is expected to start his Manchester debut on a very good note. He has an unbelievable record against his opponent, where he has scored in 9 games out of 10 against the Hammers. Absolutely ridiculous! 3. 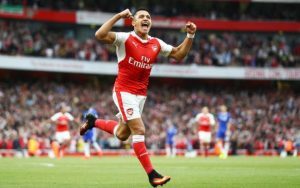 Alexis Sanchez ARS (£12m) : should Alexis remain an Arsenal player before the start of the season, he’s most likely going to be among your top picks and selections. The Chilean had a fantastic season with the Gunners, bagging 24 goals and 10 assists… He has scored three goals in his last four meetings against the Foxes. 4. 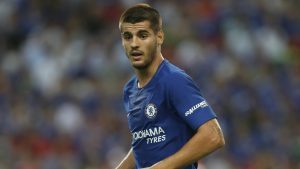 Alvaro Morata (£10m): Blues’ new signing Alvaro Morata will likely turn up for a great season under manager Antonio Conte. Signed for £70m (plus add-ons), the Spaniard is expected to start against Burnley at the Bridge with Diego Costa (his arch-rival) set for departure. Chelsea were winners of the 2016/17 EPL season, winning 17 of their 19 home games and notably scoring 55 goals. Morata playing on home turf against a side that won just once on the road, unarguably, is a good call. 5. 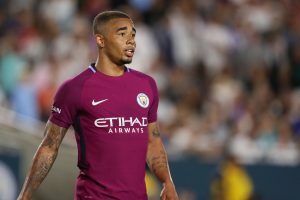 Gabriel Jesus MCI (£10.5m): Brazilian wonder kid had a spectacular debut season under Pep and will be hoping to continue with his fine form. The 20-year-old scored 7 goals and assisted 4 times in 10 League games (8 starts). Should he start, he is expected to bring those FPL points in welcoming newcomers Brighton and Hove Albion.